Inside Mercy's House, is a Pentecstal interpretation of John Bunyan's classic, The Pilgrim's Progress. 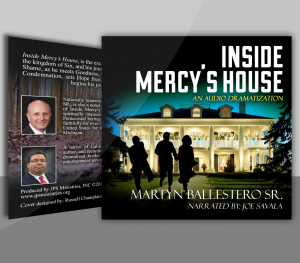 Written by world renown evangelist Martyn Ballestero Sr., Inside Mercy's House is a thrilling and encouraging story for all ages. The audio dramatization of Inside Mercy's House was performed by Joe Savala and produced by JPS Ministries, Inc.